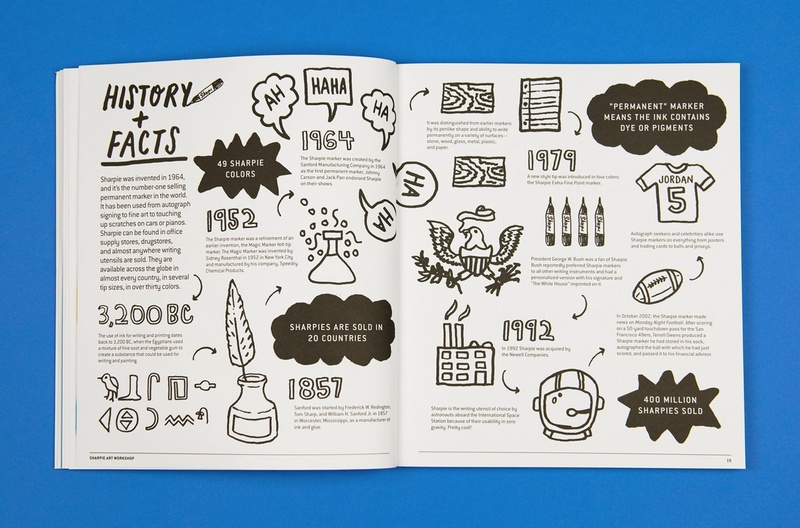 The New York based designer and art director Timothy Goodman is a heavy Sharpie user. Seven years ago he made the decision to get his hand into his work more often, which started when he had the opportunity to do a mural of the ACE Hotel in New York. 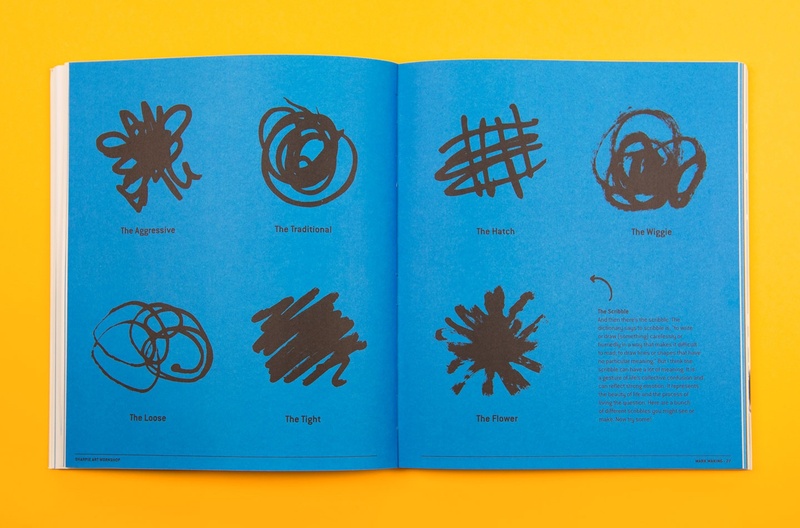 For the project, he basically locked himself in a hotel room for three days with the Sharpie Paint Marker. 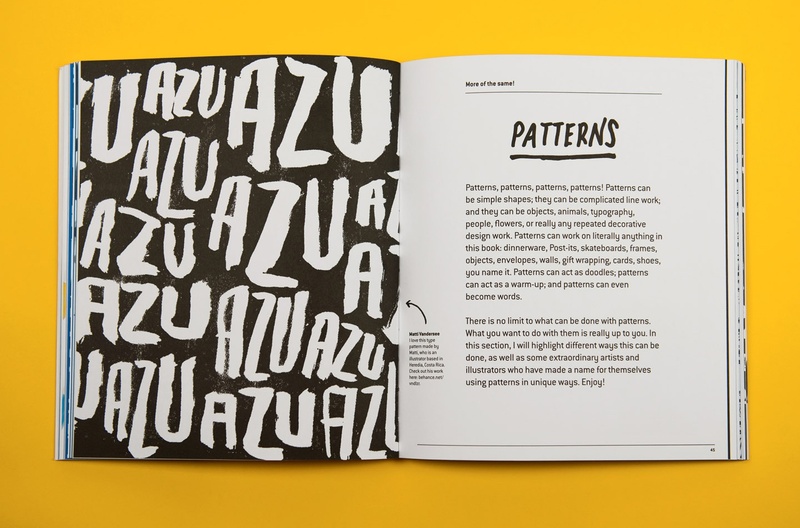 Since then, he has adopted the whimsical hand-lettering and drawing style by using the well known marker pen. His works are frequently featured on Sharpie’s blog. 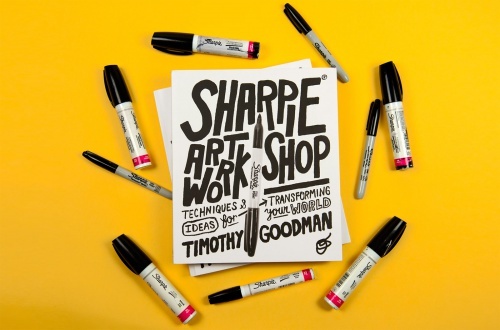 Sharpie Art Workshop is Timothy Goodman’s second book, which was co-created with the very talented designer Daniel Blackman. 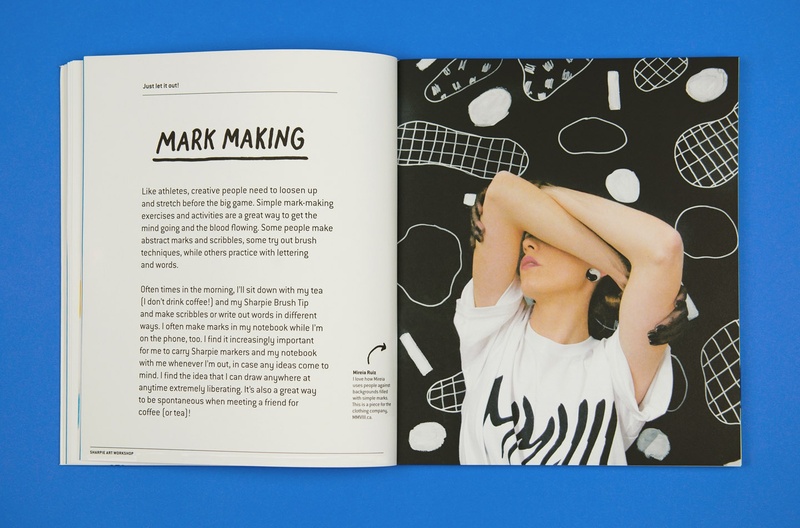 The book highlights a wide range of fun ideas and creative techniques that you can do with a Sharpie marker. 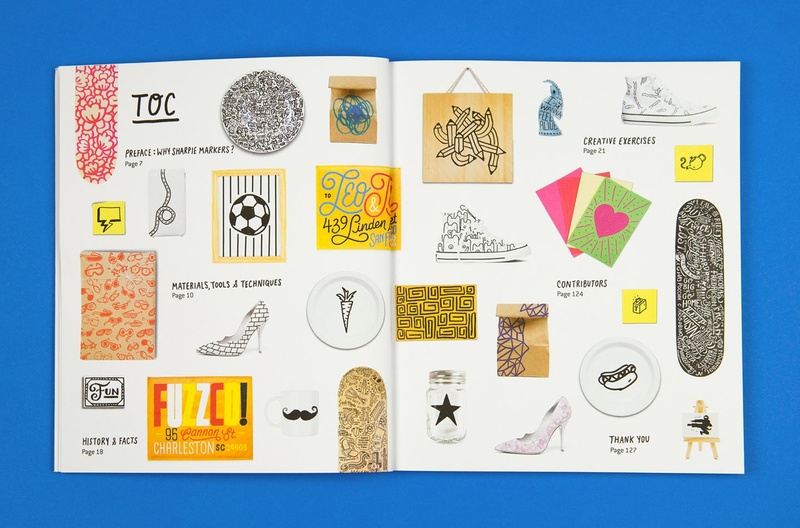 The fast drying ink feature enables the user to write on any surface, which allows them more room to fulfil their creativity whether it be making handmade gifts, to creating murals, or simply doodling on old objects. 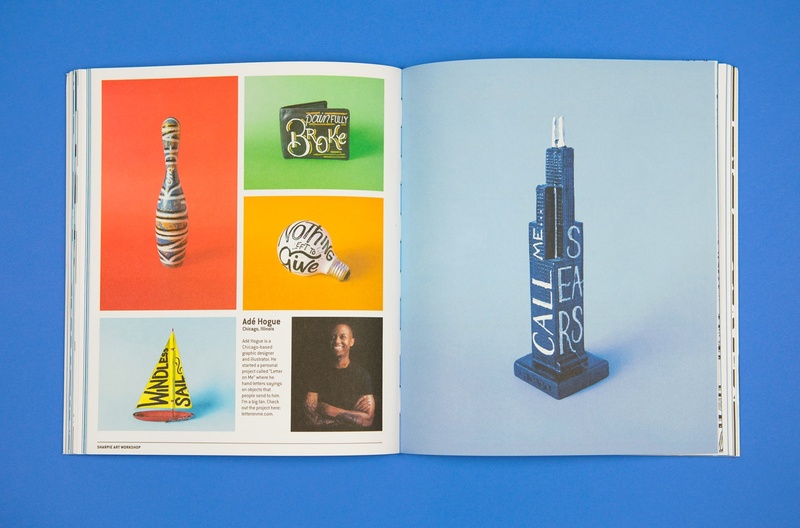 The book also features 22 amazing artists along with their art pieces from around the world. Timothy Goodman demonstrates 5 Sharpie exercises in the video.